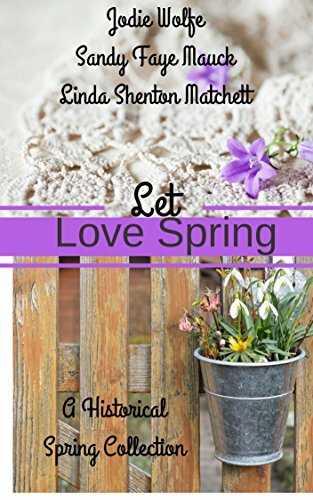 This week, I’m happy to introduce you to author Linda Shenton Matchett. 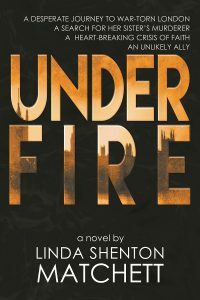 Linda has been very busy since I first met her via the book we’re featuring. 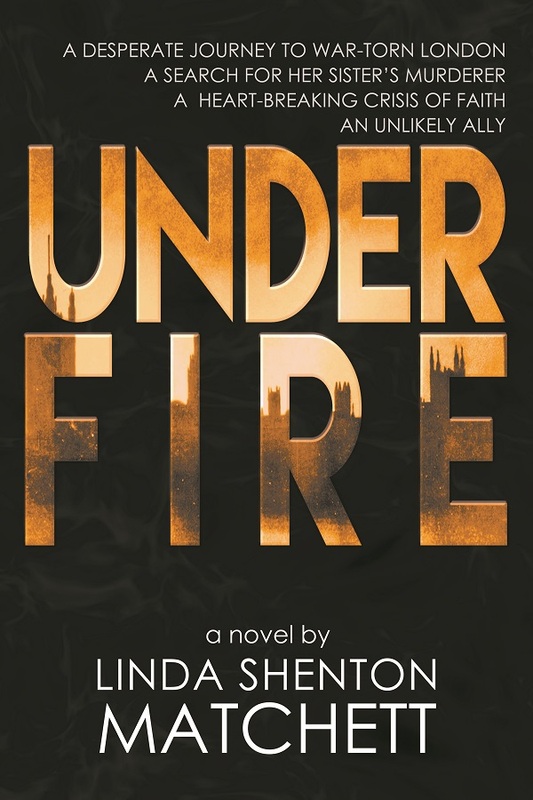 Today’s guest is Ruth Brown, the heroine from Linda’s World War II historical, Under Fire. Ruth tell us a little about yourself and your story. I grew up in Hazelton Falls, a small town in central New Hampshire. My best friend is Varis Gladstone, and she’s been with me through thick and thin. She’ll tell you I’m too curious for my own good, so she has to keep me in line. (laughs) She’s probably right, but I’d say that’s an asset to my career as a journalist. My sister and I were very close, so when she went missing, I knew I was the one who had to find her. Traveling to England in the middle of the war was scary, but I didn’t have a choice. That’s where the clues led me. The destruction and death caused by Axis powers made me angry at God. I didn’t understand how he could allow the war to happen. You are a strong, determined heroine. To what do you owe your intrepid spirit? My dad believed in me even when he didn’t understand why I pursued some of the things I did. He made me realize I could do or be anything I wanted to, which is unusual in our day and age. That gave me a lot of confidence. I’m also the oldest, so I felt like I had to take care of my younger sister and brother at school. On top of that I’ve always been a bit stubborn, so when it feels like someone is against me, I dig in my heels and try even harder to succeed. You are drawn to a career that is not exactly considered a woman’s job in your time. Did you look up to other women from your time that perhaps paved the way for you? If so, I’d love to know a little about them and why you were attracted to that career? Some would call me nosy. I’d like to think I’m merely inquisitive, but I want to know the story behind an incident. Why did something happen? Who caused it, and how did they do that? When I was in high school I discovered Ida Tarbell and Nellie Bly. They were tenacious at ferreting out injustice and social ills. Nellie went undercover as a mental patient at an insane asylum to shed the light on the poor conditions patients were subjected to. Ida’s reporting led to the breakup of the Standard Oil monopoly. I wanted to be just like them. I wanted to make that kind of an impact, so it was only natural for me to follow them into journalism. Your travels took you away from America and truly under fire. How did your journey to war torn Great Britain change your ideas about the world? I didn’t realize how sheltered and protected I was at home in New Hampshire. In England, I experienced bombings and saw terrible destruction of property and human beings. Deprivation was everywhere. Many people didn’t have enough to eat and lived in constant fear of invasion and death. I had no idea evil was so rampant in the world. In your travels and in the things that occurred to you, there had to be a lesson that you’d love to pass along to your readers. What words of wisdom would you like to give to future generations? Even when things are at their worst, God is in control. He can bring good from evil and his plans, though sometimes unfathomable, are for mankind’s best. Have faith. 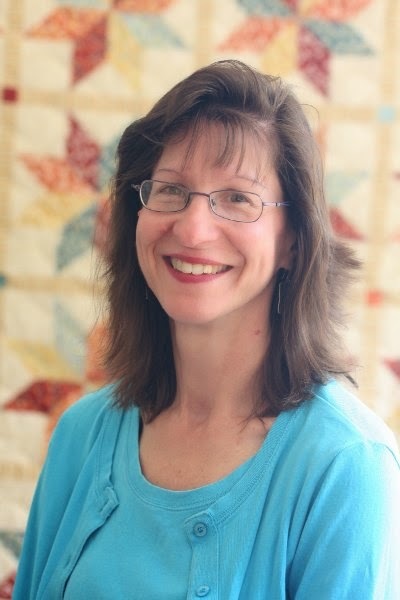 Follow Linda on her website, her Facebook Author Page, on Pinterest, and on LinkedIn. 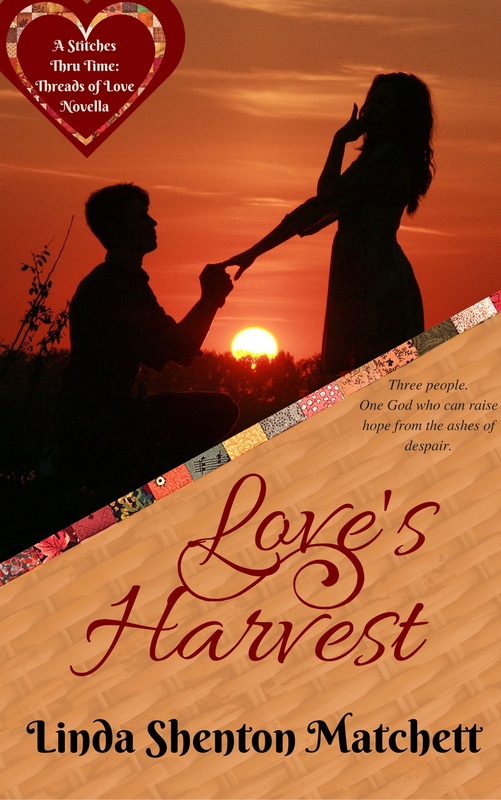 Love’s Harvest, a Modern-Day Retelling of the Story of Ruth: Noreen Hirsch loses everything including her husband and two sons. Then her adopted country goes to war with her homeland. Has God abandoned her? Rosa Hirsch barely adjusts to being a bride before she is widowed. She gives up her citizenship to accompany her mother-in-law to her home country. Can Rosa find acceptance among strangers who hate her belligerent nation? Basil Quincey is rich beyond his wildest dreams, but loneliness stalks him. Can he find a woman who loves him and not his money? Three people. One God who can raise hope from the ashes of despair. 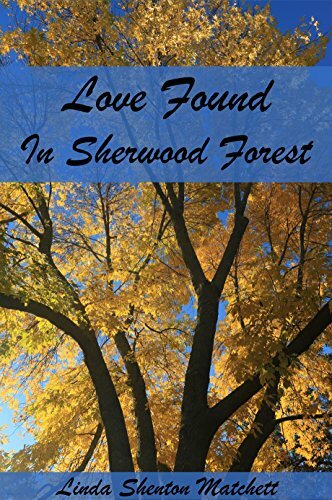 Love Found in Sherwood Forest: Award-winning Broadway actress Leighanne Webster has it all until an on-stage panic attack brings her career crashing to the ground. Returning to England to help produce the annual Robin Hood Festival play, could be the diversion Leighanne needs. But with ex-fiance, Jamison Blake, as the play’s director, focusing on her new job won’t be easy. Breaking his engagement with Leighanne so she could pursue her dream of being a Broadway star was the hardest thing Jamison Blake ever did. When she returns to Nottingham, his heart insists he made a mistake. Can he convince her to give their love a second chance, or will he have to let her go again? This time, forever. 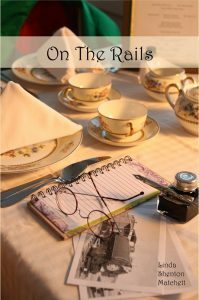 On the Rails: A Harvey Girl Story: Warren, Ohio, 1910: Katherine Newman loves being a teacher, but she loves Henry Jorgensen more, which is why she’s willing to give up her job to marry him. But instead of proposing, Henry breaks up with her. Devastated, Katherine seeks to escape the probing eyes and wagging tongues of her small town. A former Harvey Girl, Katherine’s mother arranges for Katherine to be hired at the Williams, Arizona Harvey House. Can she carve out a new life in the stark desert land unlike anything she’s ever known? A Love Not Forgotten (part of The Hope of Spring collection): Allison White should be thrilled about her upcoming wedding. The problem? She’s still in love with her fiancé, Chaz, who was declared dead after being shot down over Germany in 1944. Can she put the past behind her and settle down to married life with the kindhearted man who loves her? WWII Word-Find: Enjoy hours of fun with 78 WWII-themed word-find puzzles. Descriptive paragraphs include facts and information about each topic.